I’m not sure that I would yet call myself a minimalist, but I am most definitely inspired by minimalism as a concept. My journey with minimalism started in my wardrobe, as I expect lots do. I experienced all of the “I have so many things and yet nothing to wear” debacles for a number of years, often clearing out some items (mostly fast-fashion that was no longer ‘cool’), and thinking I’d done a good job, only to find myself right back where I started not long after. Earlier this year I went deeper than I had ever gone before, removing every single item from my wardrobe and really considering each one individually. Do I wear it? Do I love it? I was surprised by how many things I said no to, especially for that second question. I realised that the majority of my wardrobe was items I didn’t actually love. I’d just collected them along the way and they’d come together to form a mish-mash of Jess’ throughout history, not Jess as I am today. There were some things that were immediate complete dismissals, straight to the charity shop. There were others that still held a little sentimental value, or I couldn’t quite decide. These I packed away in a cupboard, to call on if I needed them. I didn’t, and they’ve since found their way to new homes where I hope they will be much-loved. What I’m left with is so much simpler, and so much easier. I think I’ve still got a long way to go. I’m often having realisations that seem so obvious once they’re there. I adore my vintage high-waist Wrangler jeans. It took me years, and I mean years, to find a pair that fit so well, or so I thought. They look great. Wearing them, though, I’m aware that sitting is remarkably uncomfortable. I’ve got thighs, and these jeans don’t seem to be happy about that. They dig in at my waist and ride up in *other* places. They’re fine when I’m standing, but who wants standing-only jeans?! After my wardrobe, concepts of minimalism started to seep into other aspects of my life. I’m suddenly more aware of the amount of waste I create. Of my use of unnecessary plastics. Of the vases sat on the side in a permanent state of emptiness. The un-knit yarn in the cupboard. The way one trip to the shopping centre can get me all hung up on consumerism, but the feeling abates if you ignore it and focus on the things that really matter. I recently made it my mission to destash before I restash. It came form wanting to knit with more of a conscience, and not just whip up things for the sake of it, and impulse buy yarn because it was on sale. It was a great concept, and still is, but my motivations were the patterns I saved on Ravelry to knit once I was through. I’d carefully choose the yarn for each one, and knit something that I know I would just love at the end. Sounds like a good plan, right? I thought so, too. But as minimalism becomes more of a prominent concept in my life, I’m questioning how good of a plan that really is. Yes, I could knit all of the things that I think are pretty, but do I actually need them? Will I actually wear them? If I really consider my wardrobe, I could probably do with a new cardigan. Other than that, I’m pretty much set on the knitwear front. But where does that leave me as a knitter? It’s in my blood to create, but the last thing I want is to be constantly adding more *things* into my life. “Knit for others”, I thought. But I equally don’t want to be a part of that consumerist mentality, trying to get people to buy the things I make, even if they don’t really need them, because I need to make money somehow. So I’m not sure where to go from here. 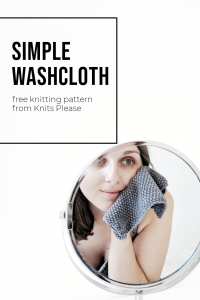 I can’t imagine a life without knitting, but how do I make it work for me? 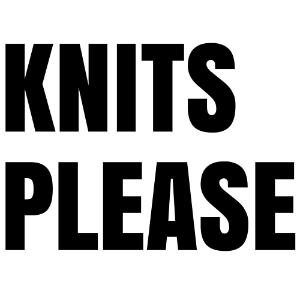 Are there any minimalist knitters out there who can give me some advice? What would you do? Help, please! I’ve run across the same issue but I have found some amazing places to donate knitware to, which sounds like it would be an excellent option for you. Homeless shelters are always thankful for knitted items, and even animal shelters. There’s a place you can donate knitted sweaters for panguins to, also. Hospitals, elderly homes, etc. Blankets for the homeless. It doesn’t make you money, but it helps you give (and create) to a good cause. Hope this helps!